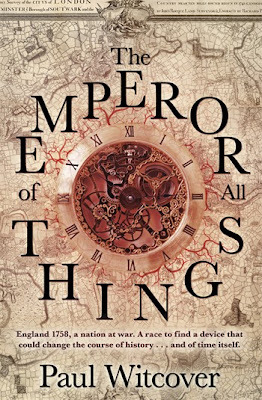 Since I received an extra copy, I'm giving away Paul Witcover's The Emperor of All Things to one lucky winner! For more info about this title: Europe. will find something of. . .
Daniel Quare is a journeyman in an ancient guild, The Worshipful Company of Clockmakers. He is also a Regulator, part of an elite network within the guild devoted to searching out and claiming for England's exclusive use any horological innovation that could give them an upperhand, whether in business or in war. The rules are the same as usual. 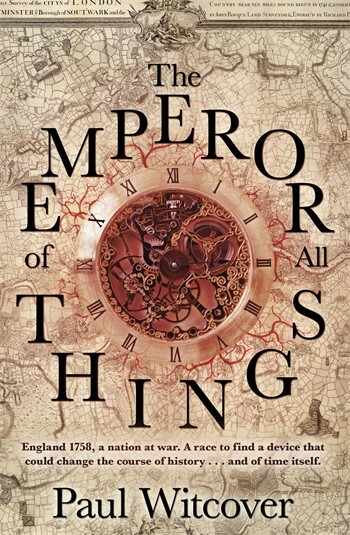 You need to send an email at reviews@(no-spam)gryphonwood.net with the header "EMPEROR." Remember to remove the "no spam" thingy. Evidently there is no US release date yet? Any idea when a probable date would be Pat? Any idea on a US release date Pat?